Add some spark to your surf booties with the performance focused O'Neill Heat 3mm Split Toe Boots. 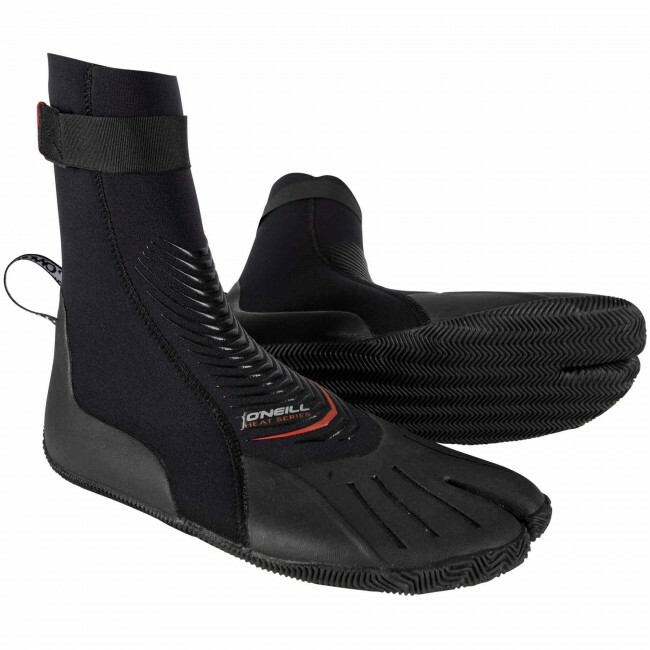 These cool water booties are built with soft, FluidFlex Neoprene and deliver all the features you need for solid performance with O'Neill's quality craftsmanship to ensure a long life of serotonin filled sessions. Offering reliable warmth, a secure yet comfortable fit and superb durability, the Heat Boots are perfect for any surfer spending hours chasing those irresistible empty peaks. Have used them three times now, easy to get on, with good closure. Real handy loop on the heel to help pull them off. That’s especially good for me, as I have some previous injuries to my left knee and ankle. Very pleased.